This light, poppy board would do well for a freestyle rider who needs to take her board around the rest of the mountain, too. Testers commented that it did great in the park, especially on small jumps and rails, and still felt stable on the rest of the mountain. The pop and lively flex earned it a 5 on our fun-o-meter. 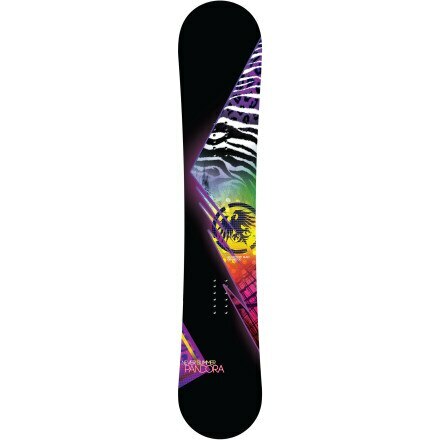 No Never Summer Pandora snowboards were found on eBay at this time.